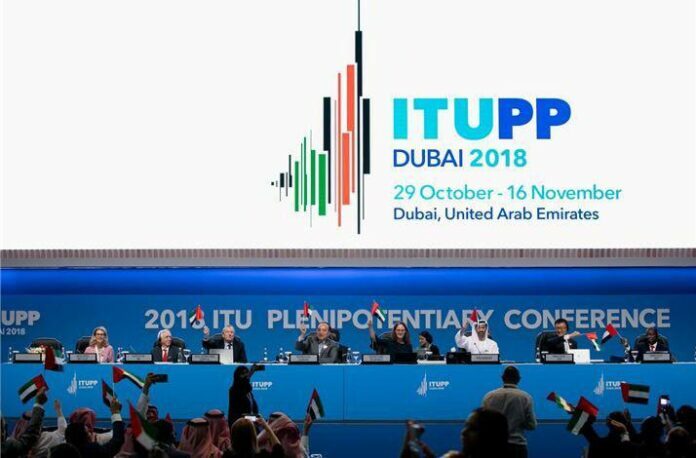 Iran has been elected to the ITU Council, the governing body of the International Telecommunication Union (ITU), with a vote higher than those of some leading members l0ike Russia, South Africa and Poland. In an Instagram post, Iran’s Minister of Information and Communications Technology, Mohammad Javad Azari Jahromi, said Iran achieved 146 yes votes from the ITU members, standing above other leading members. “Minutes ago, I received a short message from Indonesia’s Minister for Information and Communications Technology who congratulated me on membership of the Islamic Republic of Iran in the governing body of the International Telecommunication Union,” he said. The ITU member said Iran would gain the membership of the ITU Council with a high vote, Azari Jahromi added. According to the minister, the Islamic Republic received a number of votes compared with other members of the ITU Council with longer history of membership, including Russia, South Africa, Poland, Azerbaijan and many others. The Iranian minister then referred to the re-imposition of the US sanctions on the Islamic Republic on November 5 and said today, as the US sanctions were re-imposed, the Islamic Republic managed to create a global consensus in its favour and gain the yes votes of 146 countries to join the ITU governing body. The first round of the bans – which had been lifted under the nuclear deal – was re-imposed in August. The US imposed the second round on Monday.